We’ve all heard the craze around supporting local businesses. Buy local, they say, eat local, they shout, go local, they promote. But sometimes buying locally can be difficult—whether in price, availability or convenience. Still, choosing community businesses actually can be worthwhile, and even worth advocating. When it comes to supporting local business, there’s more to it than helping the community; it supports you too. Check out these reasons why going local helps you out in the long run. 1. Strengthen your local economy. According to Civic Economics, for every dollar you spend at an independent business, 3x more money is returned into the local economy, compared to that spent at a larger chain (50x more compared to an online retailer). This money is going right back into the community you live and work in, helping to support valuable programs for yourself and your family. Small businesses often give back to the community in other ways, whether donating, buying or financially backing other independent groups. When small businesses are strong, the community and local economy are strengthened as well. Not only is your local economy strengthened when you shop locally, but you also help to create more jobs. According to the Small Business Administration, the 28 million small businesses in the U.S. have provided 55% of all jobs and 66% of all new jobs since the 1970s. These jobs could go to your friends, family or neighbors—people who would probably experience much more competition at a large chain store. Or, these jobs could go to you, just from doing your part to support the community. 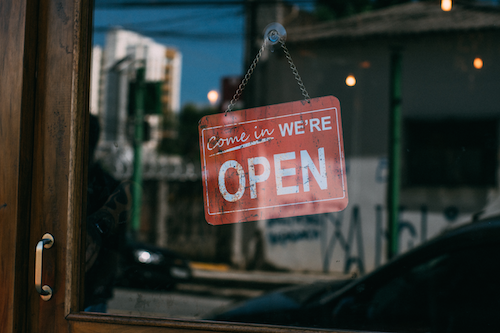 Locally owned businesses often make more local purchases for their products, requiring less transportation and outsourcing. They typically consume less land, locate closer to residents and create less traffic and air pollution. All of this leads to less congestion, less habitat loss and less pollution. While this may not impact you immediately, it can definitely impact your children and grandchildren in the future. Everyone loves lower taxes, and supporting your local businesses can help do just that. With small businesses, more efficient land use and more central locations puts less demand on roads, sewers and safety services. Even more, independent businesses often generate more tax revenue per sales dollar. This means a greater percentage of local businesses helps to keep your taxes lower, as compared to mega-stores. 5. Improve your family’s health. When it comes to buying produce and choosing places to eat, local food distributors and restaurants are often the healthier choice for yourself and your family. According to GrubMarket, buying local foods has numerous health benefits, opening you up to the world of chemical-free fruits and vegetables, grass-fed meats, fresh eggs and dairy provided by grass-fed cows. This means you and your family can enjoy a tasty meal, while supporting the local community and choosing the healthiest option. When it comes to choosing local businesses, helping the community means helping you, too. Whether it’s aiding the economy now or building a better world for future generations, small businesses are here for you. But first, they need a little support too.